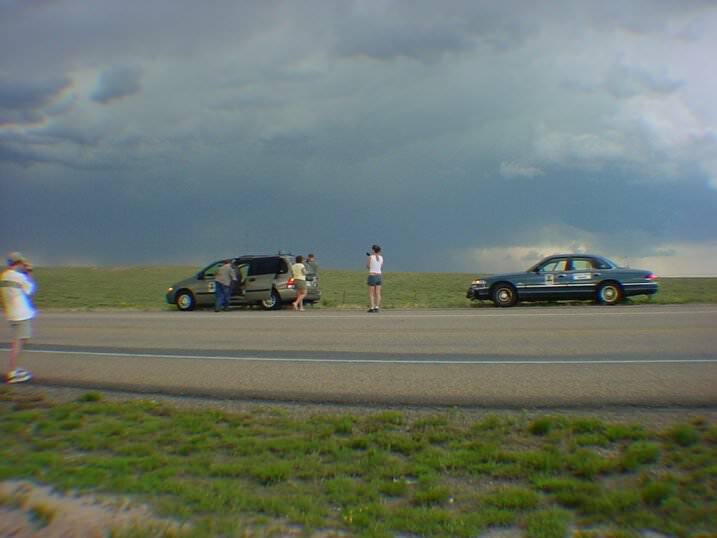 In 2003, I went on my first Great Plains storm chase with a few folks from Virginia Tech, Pulaski (Virginia) High School and the Virginia State Police. 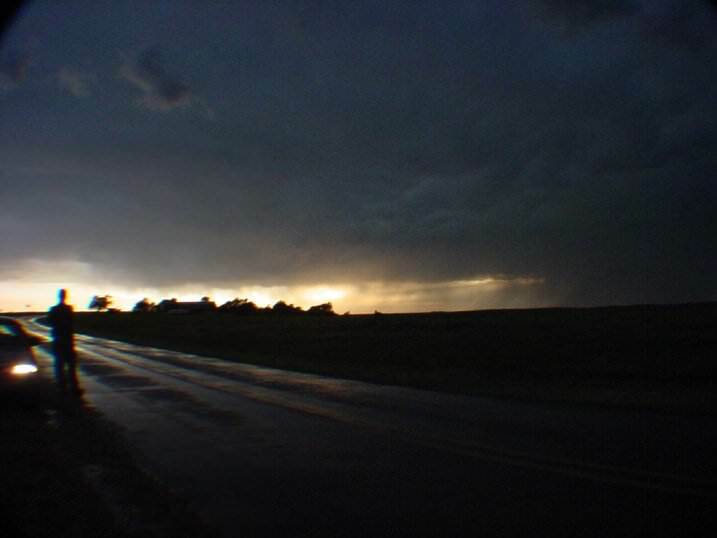 I had been chasing locally since at least 2001, but this marked my first adventure west. In fact, I went through Texas, Oklahoma, Arkansas and New Mexico, all of which were new states for me. 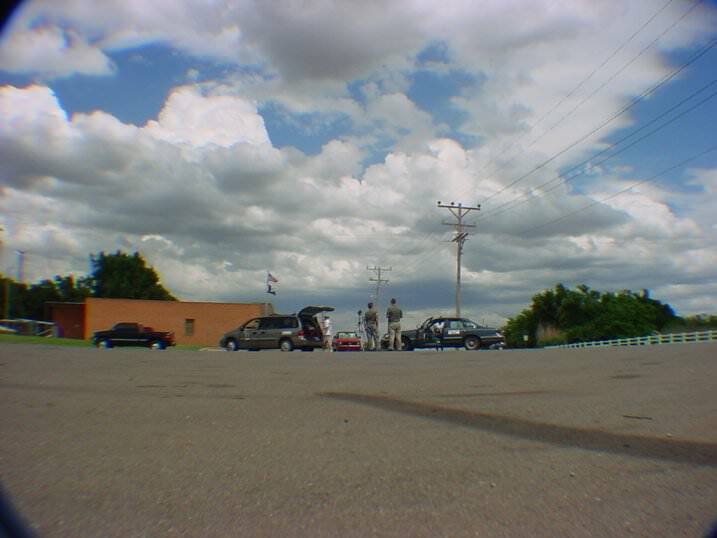 The storm chase team left in two vehicles and ventured westward. 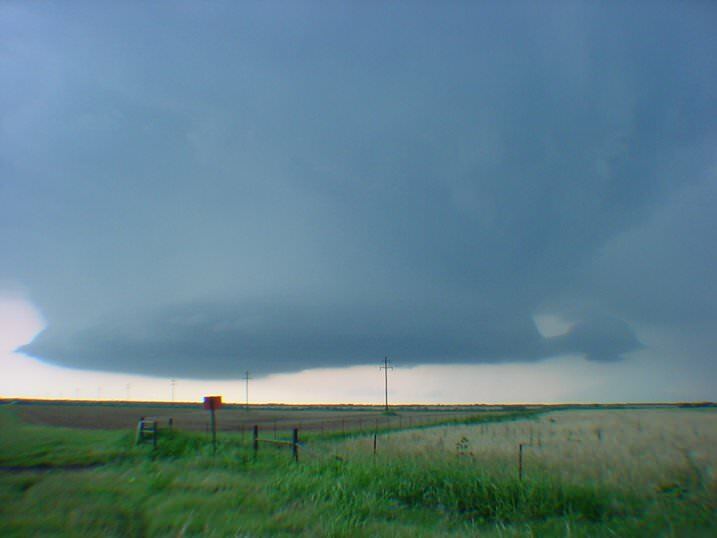 I did not keep very good records back then, but we were out from June 8, 2003 until June 16, 2003 and saw a tornado in Young County, Texas on one of the last days. I rode in the Ford Windstar with Cathy, Dave, and Dan. 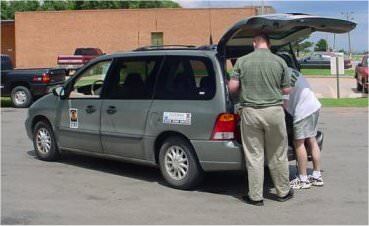 In our vehicle, we had an Alinco TR135 (APRS), Icom 2100, Yaesu VX-7R, Radio Shack Pro95 Scanner, Weather Radio, laptop with Verizon wireless service, FRS radio (relay between chase vehicles). 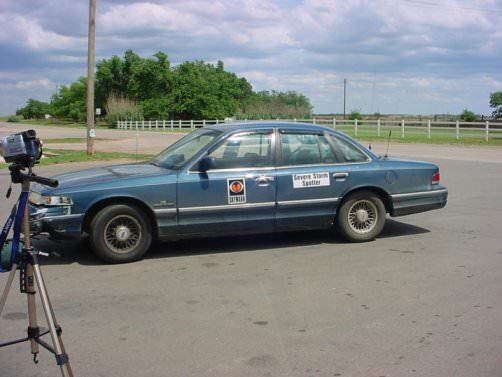 The other vehicle was a Ford Crown Victoria (Virginia State Police Car) with Aaron and Becky. 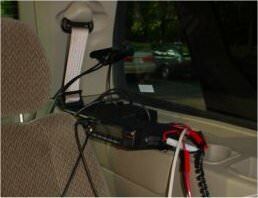 Equipment-wise, they had a CB, Radio Shack Scanner, Weather Radio, FRS radio (relay between chase vehicles). I did not organize my photos chronologically, so I don’t know when and where these photos were taken. 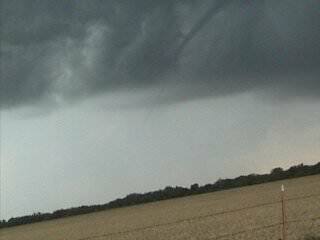 We had several storm intercepts, and my photos were organized based on cloud type, concluding with the tornado. 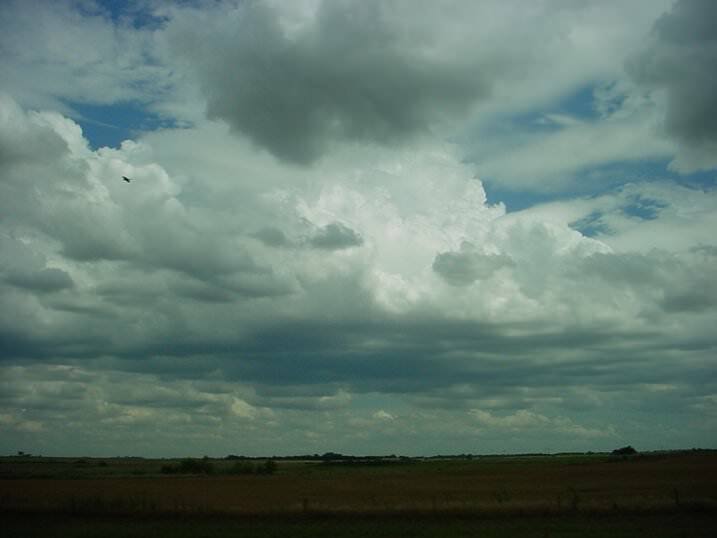 The first batch of photos was of developing cumulus fields across northern Texas and Oklahoma. 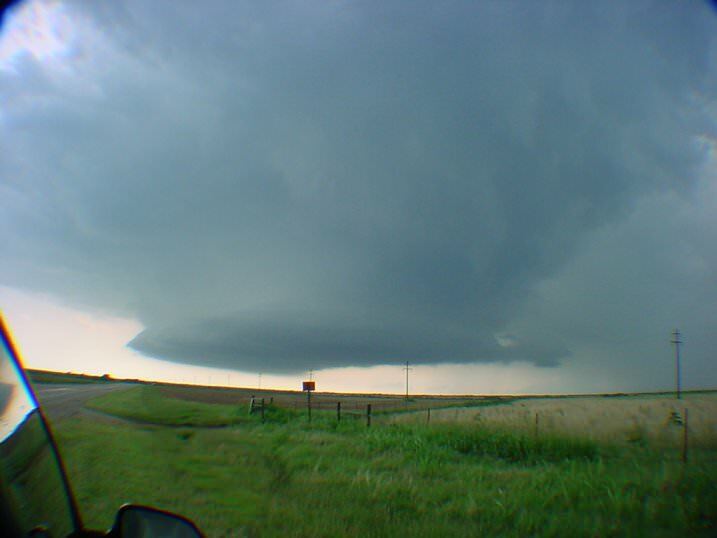 On one of our last storm chase days, we were caught between two supercells- a mostly classic supercell and a low precipitation (LP) super cell. 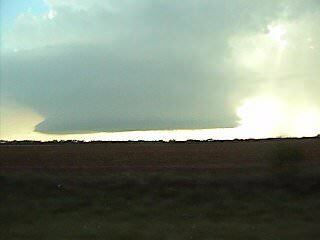 We tried to get into the updraft vault of the LP cell, but upon viewing a truck flying out of the core with a broken windshield (hail damage), we decided to turn around. Even so, the cell was beautiful. 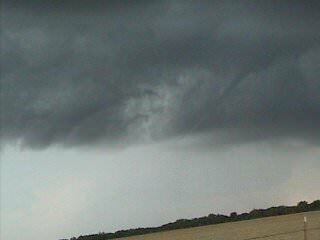 This cell went on to produce a very wispy, roped out tornado. 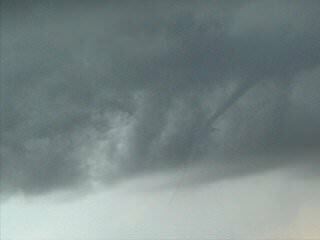 I took a few frames from video, hence the poor quality. 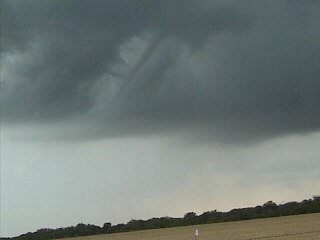 There was a dust whirl rising to meet the condensation funnel seen in these photos, but I was much more interested in getting the funnel and the clouds than the dust whirl on the ground- even though without the dust whirl, someone will complain that this is only a funnel cloud (it wasn’t). 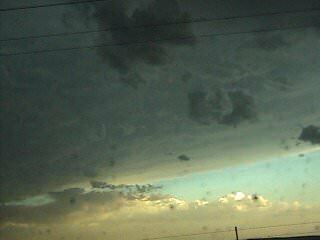 As the cell pulled away from us en route to Mineral Wells, Texas, we called it a night. 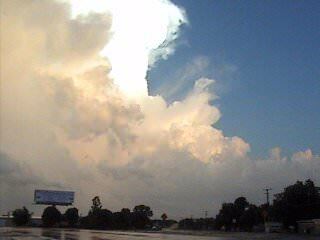 I took a few photos of the backside of that storm. Notice the large backshear- that is air that has been forced upwards so hard that when it hits the tropopause, it is forced UPWIND (50kts+) to form the anvil behind the storm. 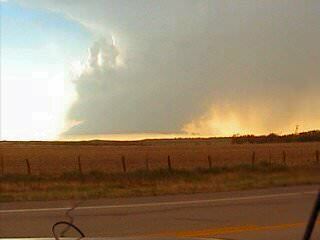 Thus began my lifetime of Great Plains storm chasing!